This ambitious business is a textbook example of the new wave of barbecue restaurants. 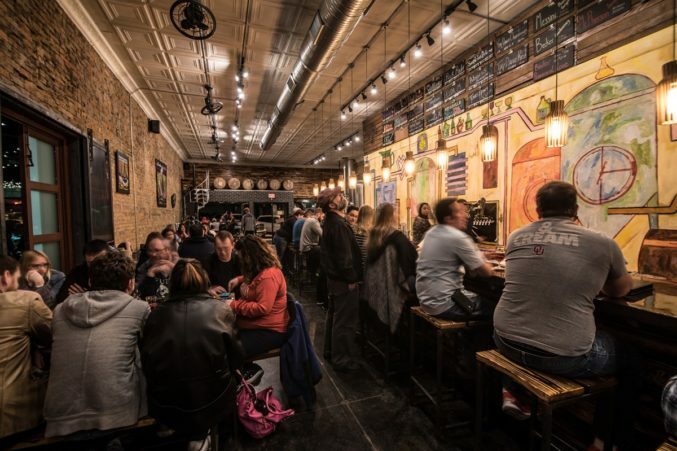 It’s a hip bricked-walled brewery with communal tables and a barbecue kitchen in back. They offer nachos with house-made queso, chicken wings, and hummus alongside quality smoked meats. The pork on the St. Louis ribs pulled easily from the bone, and the meat is moist and appropriately fatty. Love the State Fair-worthy corn nuggets.